The winds of change are blowing. For Route 66 Chronicles that means a few tweaks and a couple of new additions that I hope will enhance your visit and that will make it easier for your interaction with the international Route 66 community. adventure on the road less traveled. In the top left corner I have posted the latest blog catalog rating (9 out of 10!). In the top right corner there is now an opportunity for you to initiate discussions withthe world at large. At the top of the center column, just above the daily postings, is a link to Jim Hinckley Studio where you may order prints of images that have appeared on this blog, in our books, and that chronicle a few of our adventures on Route 66 and on the road less traveled. 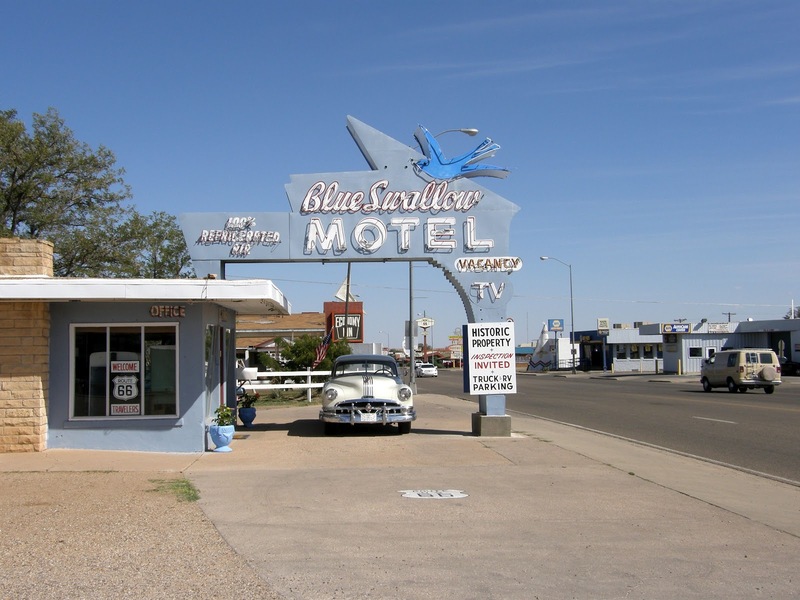 From its inception Route 66 has been a mirror of American societal evolution. Even though the highway no longer officially exists, it continues that tradition in the 21st century as evidenced by this interesting endeavor to make it the nations first electric highway, a corridor suitable for electric vehicles. More information is available at this website. An aspect of the writing and photography that brings me a great deal of pleasure is the opportunity to use the promotion for them as a means to call attention to the people and places that make Route 66 a unique treasure. So, you can imagine how pleased I was to receive a note from Jane Reed that the debut of the forthcoming Route 66 Encyclopedia at Cuba Fest in Cuba, Missouri this October has warranted mention on the official Missouri tourism website. Posting for the next week will be a bit spotty at best as we will again be on the road. This time we are off to the Wheels on 66 event in Tucumcari. Rest assured, there will be lots of stories and photos to share upon our return.